Translators are expected to fulfill many roles in today’s market. In addition to being linguistic experts, translators are also expected to be experts in business, marketing, and, of course, technology, just to name a few. 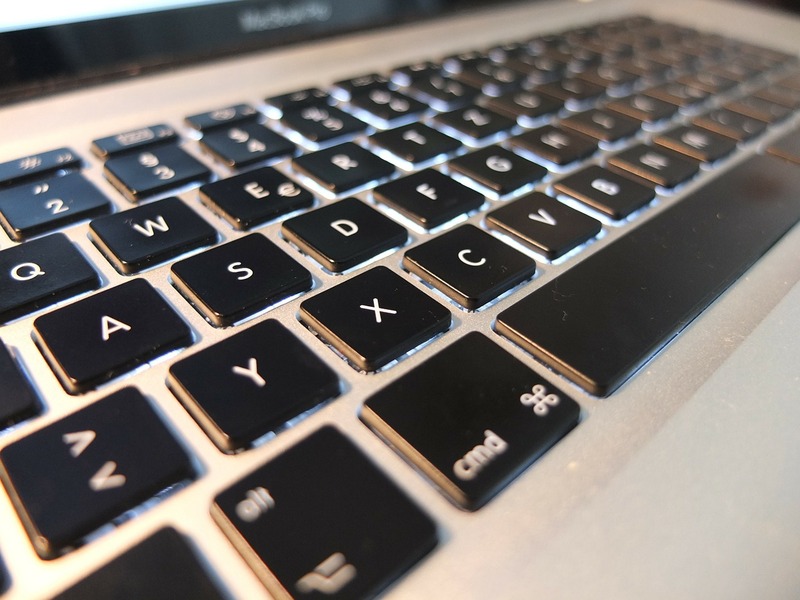 This can be a daunting task, but below are some technology tips and considerations for newcomers to the translation field. The first consideration for a professional translator is the home setup. A translator needs to have a reliable computer with enough processing power and memory to efficiently handle some of today’s more memory-hungry translation tools. A computer is only as good as its support system, however, and the first member of this support team is the anti-virus program. There are a lot of options out there, but the better options are the ones that constantly scan your computer for problems. These typically run in the background while you work and don’t slow down your computer as much as full system scans. Regardless of whether or not your anti-virus is constantly scanning for problems, you should also schedule your computer to run a system scan on a regular basis. If these scans significantly slow down your computer, schedule them for times when you aren’t working. Finally, don’t rely on your anti-virus to protect you from everything. Make sure you are also careful of your activities online. Using a work computer to visit potentially dangerous sites could compromise the security of your system and lead to a number of problems. The next support member for your computer is the Internet connection. Make sure yours is high-speed and reliable. If you work on a laptop, also remember that wired connections are usually faster than wireless ones. One note of warning: free wireless connections in internet cafés, hotel lobbies, airports, etc. are typically not secure. Confidential information—yours or your client’s—can be hacked when you use these open access services. The next two members of your computer’s support team are not so obvious, but they can save you a lot of stress when you need them: a backup drive and an uninterruptable power supply (UPS). It’s a great practice to back up your data on a regular basis, just in case something gets by that anti-virus. You can either back up your data to an external drive, or you can purchase space online. Just make sure that you’re not violating any non-disclosure or confidentiality agreements by uploading content to an online site, such as Dropbox, Google Drive, or Microsoft OneDrive. Finally, a UPS is your best friend during storms. A UPS provides protection from power surges, just like a surge protector, but it does more than that: it also contains a battery that will allow you to continue working, even when you’ve lost power. A low-end UPS is only about $50 and can provide you with those precious 10-20 minutes you’ll need to successfully save your work, close your programs, and properly shut down your machine. With a reliable computer setup, it’s time to talk software. Every translator will need the basics: an e-mail application, an office suite, and a translation tool. We’ve all been using e-mail for a while now, but when you plan to work professionally, make sure your e-mail address reflects it. An e-mail address is one of the first things clients see, and it can be a real deterrent when choosing which translator to select. In addition to a good e-mail user name, start using out-of-office replies, like the Vacation Responder in Gmail. These are useful for times when you aren’t working or when you’re on vacation. Clients and project managers use large pools of translators, so letting them know when you’re unavailable saves them time, and they’ll remember you for it. An office suite is essential since most translatable file formats are word processing files, such as DOC and DOCX from Microsoft Office. Regardless of which office suite you buy, get used to working with formatting. You can display a document’s formatting in Word by clicking the ¶ button on the home tab on the ribbon. Knowing how a document is formatted will help you on projects where you have to mimic the source formatting and improve the overall look of your documents. Just understanding the difference between soft and hard returns, for example, will greatly help your translation tool segment a file. Learning to work with tables will also prevent spending unnecessary time fumbling with tabs and spaces. Viewing documents with the formatting turned on can take some time to get used to, but it soon becomes second nature. In addition to an office suite, professional translators today need to know at least one translation tool. These tools, often called Computer Assisted Translation (CAT) tools or Translation Environment Tools (TEnTs), are an essential part of a translator’s arsenal. The most essential of these tools involve the use of Translation Memory (TM). There are a lot of options out there for TM tools, and your choice of tool should be based on your needs as no one tool is best for everyone. Some tools require larger up-front investments, while others can be purchased on a monthly basis. If you don’t have a lot of work yet, you may want to start with a less expensive option at first until your business grows. Some tools even have free webinars that you can watch to learn how to use them better. Regardless of your choice, don’t be afraid of it. Invest the time to learn your tool, and you’ll soon see the benefits. For more in-depth reviews and comparisons of tools, check out GALA’s LT Advisor and the Translator’s Toolbox, a guide that goes into much more detail than I can cover here. 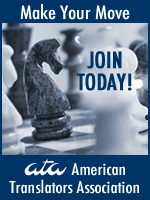 Finally, join the LT Division of the ATA and take advantage of the knowledge of other beginners and long-time veterans. While some of this information may seem basic, you’d be surprised how often it is overlooked. No PM wants to hear the dreaded “computer problem” excuse to explain late deliveries, so make sure your setup is reliable and you know your tools well. Your technological reliability can be one of many reasons that clients come back to you project after project. About the author: Tommy has an MA in Translation (Spanish) from Kent University and is working on his MSc in Multilingual Computing and Localisation from the University of Limerick. He is certified in SDL Trados Studio and currently serves as the Assistant Administrator of the ATA’s Language Technology Division. Tommy is also an active participant in ASTM standards. He has worked as an interpreter, translator, and project manager, and he now works as the Quality and Technology Manager for CETRA Language Solutions in Philadelphia.